It’s no secret; I love to grill. I love it because it epitomizes the perfect summer evening, sitting in chairs around the barbeque, listening to music, drinking a glass or wine or a beer and laughing. I love grilling even though the majority of cooking scars I’ve sustained have involved outdoor grills. But neither here nor there. I have a cast iron grill pan in my kitchen that I break out from time to time to remind myself that it’s always summer somewhere. I love any kind of grilled vegetables. 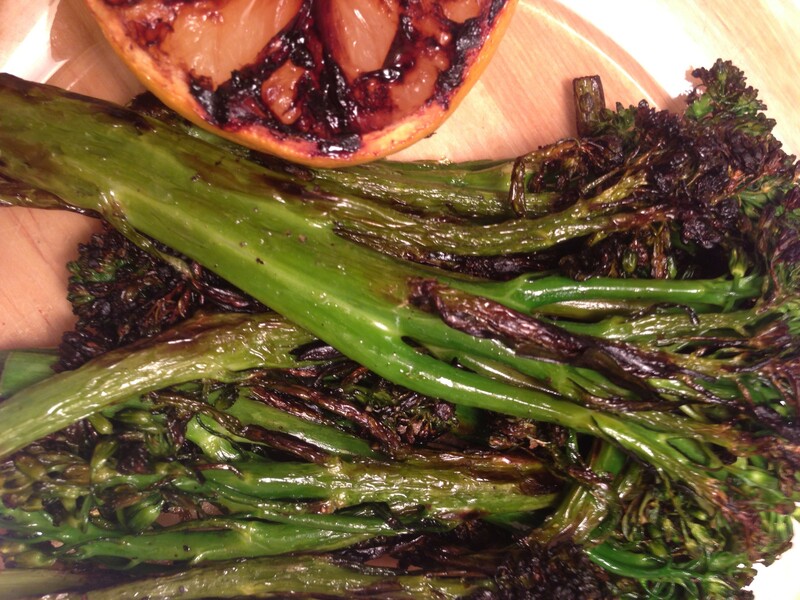 I love charred broccolini because it’s the perfect accompaniment to any kind of meal — elegant or simple. 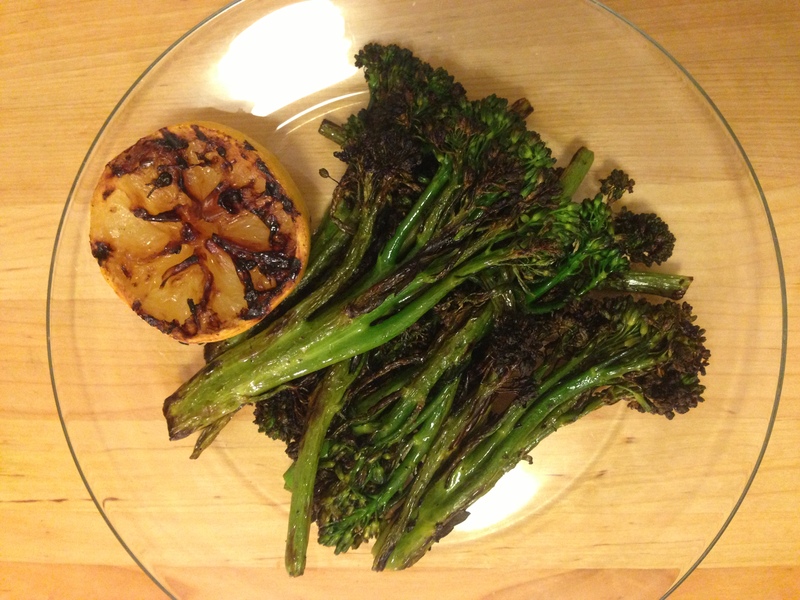 Note: You don’t need a grill pan to char the broccolini — simply use your broiler. Cut off the ends of the broccolini, about an inch or so. Wash the broccolini and dry thoroughly (this will ensure it crisps properly). 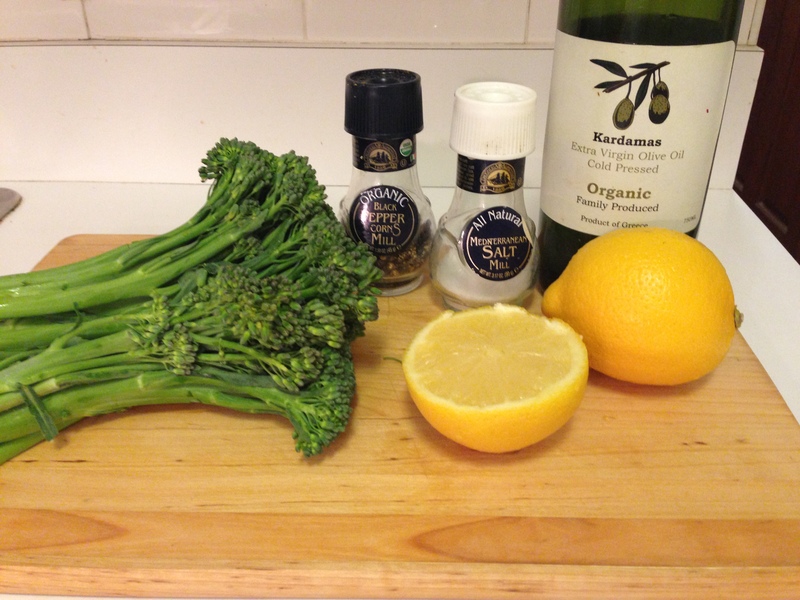 Toss the broccolini in a small bowl with a few teaspoons of olive oil and sprinkle with salt and pepper. 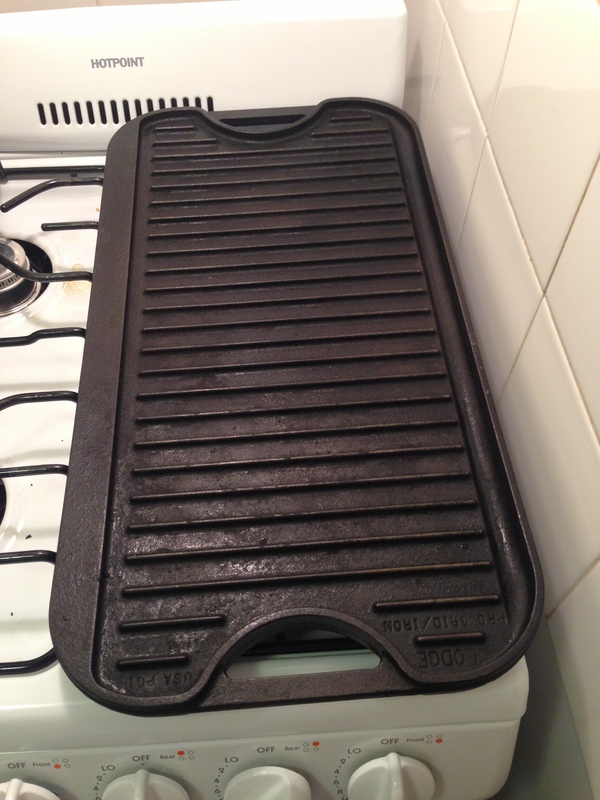 Preheat your grill pan OR turn on your oven broiler if you don’t have a grill pan. Now let the fun begin. 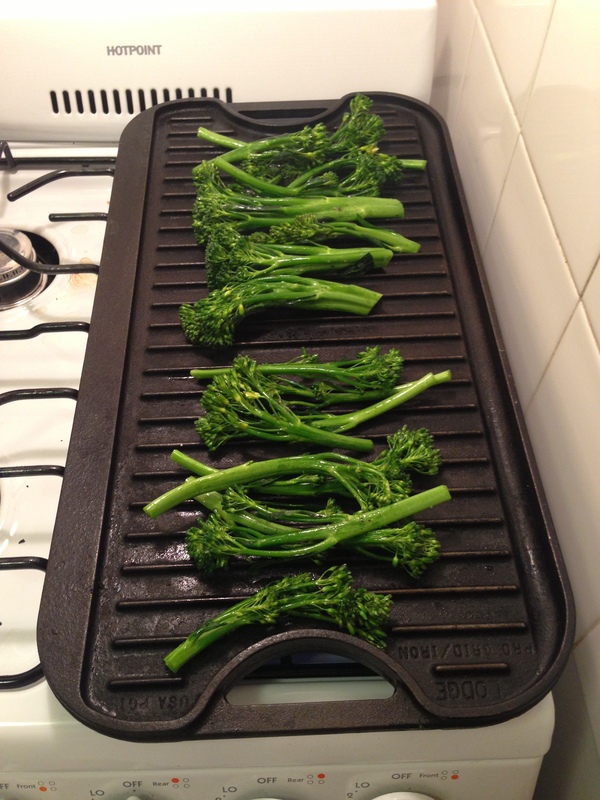 Lay your broccolini on the grill pan (or a sheet tray if broiling) for about 8-10 minutes with the burners on medium high heat. Gently rotate the broccolini about halfway through so that they get an even char. Add the lemon half face down on the grill and let char for about 3 minutes. 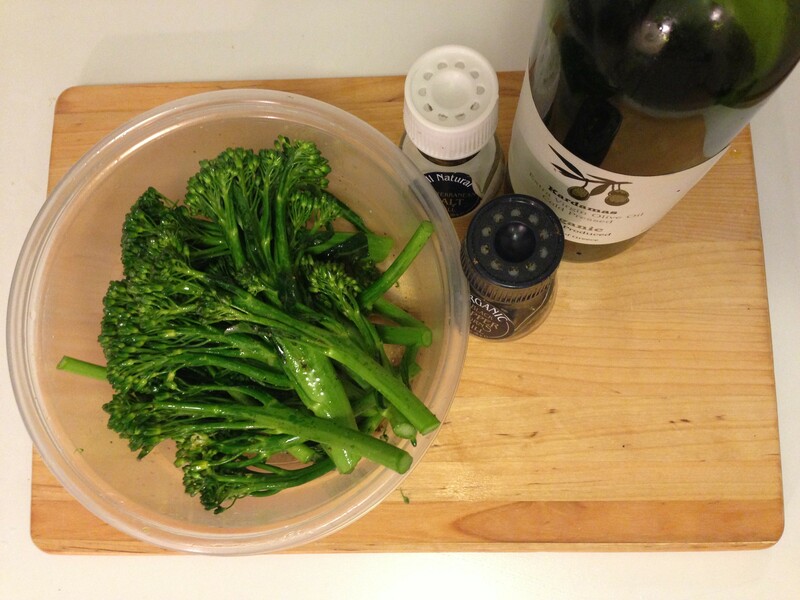 If you are broiling, pop your broccolini on the sheet tray under the broiler on the top shelf for about 8-10 minutes. Flip them about halfway through. 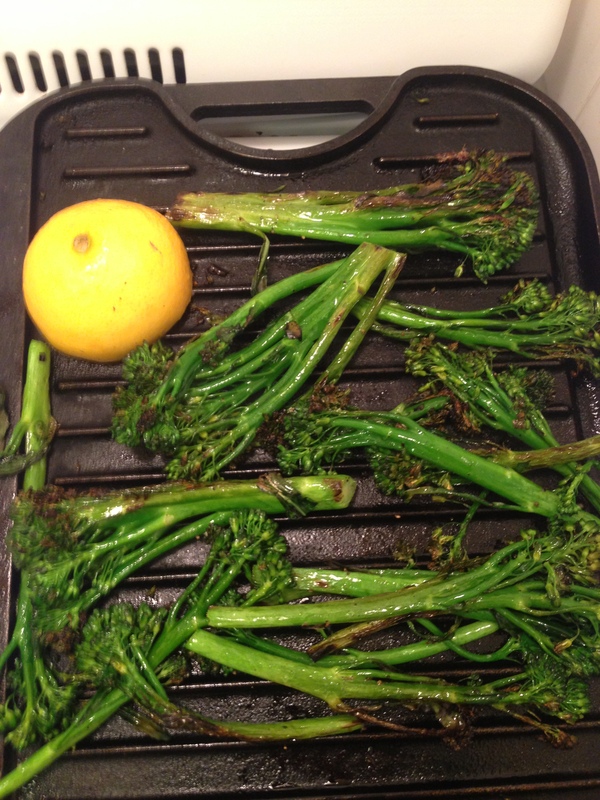 After the broccolini have charred, plate them and drizzle them with half a lemon. Fieldhouse Fun Fact: My favorite thing to grill is steak — simply seasoned with salt and pepper.